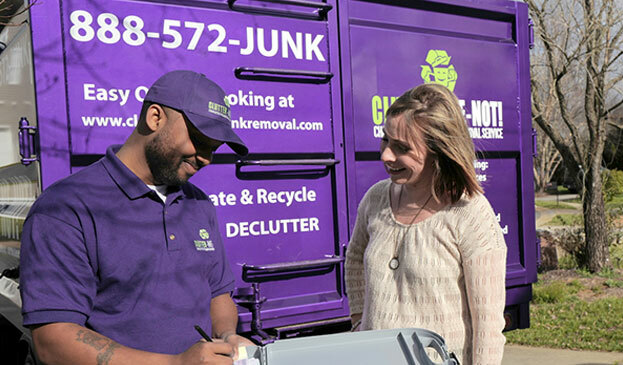 Household Junk Removal Made Easy. We offer services to Residential customers. Our service includes the loading, transport and disposal of your junk. Our trucks are 10 feet long 8 feet wide 5 feet high. The trucks are operated by a strong, professional, courteous staff that will evaluate the work and quote a price based on weight, volume and time. If the price is agreed upon, the crew will load, remov and dispose of your unwanted junk at your earliest convenience. When using our full service hand loading, you pay for only the truck capacity your load requires unlike conventional containers where you must pay a fixed charge based on container size. If you have a small load you pay a portion of the full load price. So, whether it’s a big job that needs loading, or a single item you want removed, our hand loading service is a fast, effective way to dispose of your unwanted junk. Customized pricing - pay only for the portion of the truck capacity used.